Columbia Area Midwives: Kim James, Sarah Davis, and Dawn Finney, wish to announce changes in our individual practices for 2018. Starting next year, both Kim James and Sarah Davis will be closing their practices. Midwifery care and home birth services will continue to be offered by Dawn Finney, for new and repeat clients, with the assistance of Katy Miller, senior midwifery student. It is our hope that there will be enough interest to keep one practice going and that, in time, demand will increase again and provide a viable practice environment for the next generation of midwives. To all of our clients, we sincerely thank you for making the choice to hire us for your care. We thank you for seeing the value in the midwifery model of care and the home birth services we offer and for helping us keep this option alive. It has been our pleasure to work with you and help you welcome the newest member of your family. If you would like to explore the option of midwifery care, home birth, and other services, please contact Dawn Finney at (573) 684-3296, dawnmfinney@gmail.com. Dawn's information can be found on this website, and also on her individual practice website: Birthroot Midwifery or on Birthroot Midwifery Facebook page. I began my midwifery education in Iowa, where my husband and I grew up, apprenticing with Melody Weig, SCM, and attending classes at the Iowa School of Classical Midwifery with Molly Caliger, CPM for one year. My next midwifery adventure was a cross-country move to Oregon, where I attended the Oregon School of Midwifery, and then graduated from the International School of Traditional Midwifery in Ashland, OR. In 2004, our family moved again, to Champaign-Urbana, IL, where I assisted and practiced with supervision with Joann Falcon CPM, before becoming very busy in my own homebirth practice. About 75% of my clients were from the Arthur-Sullivan Amish settlement. While it was very hard to leave my practice - especially repeat clients! - when my husband was offered a job in Columbia, MO, in 2009, I am thrilled to be practicing with Dawn and Kim, and look forward to meeting many new families in the years to come. I have eight years of experience with breastfeeding support and education, and provide breastfeeding support services to my clients as well as to mothers outside of my practice. I have three boys, all born at home, and enjoy homeschooling, gardening, and gardening some more! Contact Sarah. It seems as if I've been a midwife all my life but I officially started my midwifery education in 1980 through New Life School of Midwifery in Austin Texas. My training included both an academic component and an extended apprenticeship with senior midwives. I became a certified professional midwife in 1996 and over the years I have worked in three Columbia Birth Centers with physicians, nurses, nurse midwives and fellow CPM's, attending over 600 births. I'm the mother of two home born children and grandma to two grandsons, all born into the hands of midwives. It was a great honor catching my second grandson as he emerged in a warm birth pool in my daughter's home. I now have a small home birth practice and also offer massage therapy in my home office. I love working with my partners Dawn and Sarah and serving the mothers in my community who value midwifery care and desire a healthy, natural birth in the comfort of their own home. Contact Kim. 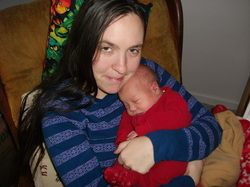 ​I had my first child in 2003 and was underwhelmed with the care I received in the hospital. My intention was to birth naturally with as few interventions as possible, but I ended up having a cesarean. As I learned more about maternity care and pregnancy, I was drawn to become a doula. 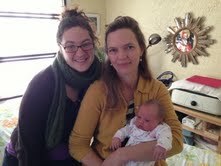 I completed my first doula training with DONA in spring of 2005. I worked as a doula for the next several years in between birthing two more children at home with the care of midwives. After my first homebirth, I knew that midwifery was where my heart lay, so I began self-study and apprenticeship with local Direct Entry Midwives. By 2013, I had become a CAPPA certified doula and childbirth educator. In 2014, I began the distance midwifery education program offered by the Midwives’ College of Utah. In 2016, I traveled to Utah for an amazing clinical experience where my training really took off. I have now attended over 70 births as a doula and assistant midwife. I am thrilled to be able to bring the knowledge and skills I have developed to apprenticeship with the Columbia Area Midwives. Born and raised in St. Louis where I met my husband, I have lived in Columbia for the past 8 years, homeschooling my children and enjoying my own little slice of paradise on a couple of acres near Rock Bridge State Park. I love our Mid-Missouri community and look forward to welcoming many new additions to it as the years go by.